Ireland and the Netherlands account for 60% of all beef and veal exports from the UK, and this figure grew in 2014. 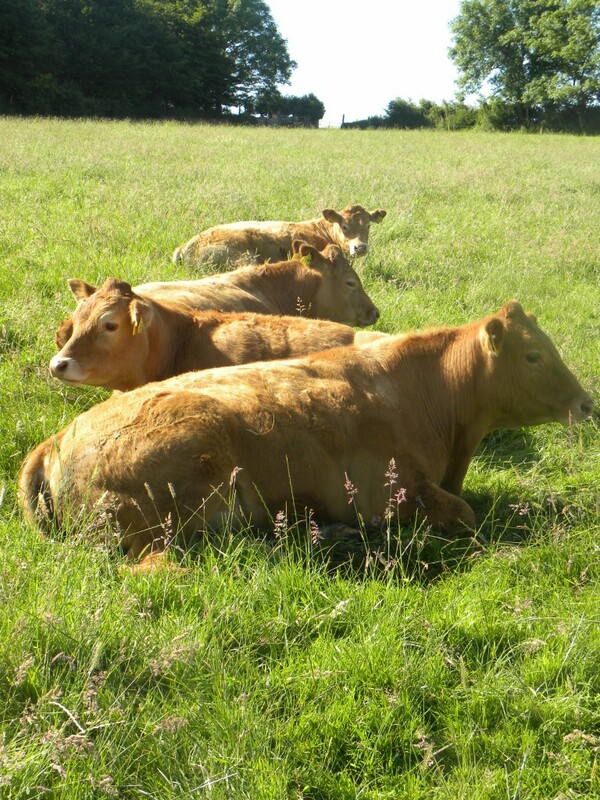 Last year beef and veal exports increased from the UK by 6% on the year earlier to amount to 112,055 tonnes, according to Eblex. While the top five export destinations for the year as a whole continued to be other EU Member States − Ireland, Netherlands, France, Belgium and Italy − their collective share of trade fell from 87% to around 83%. 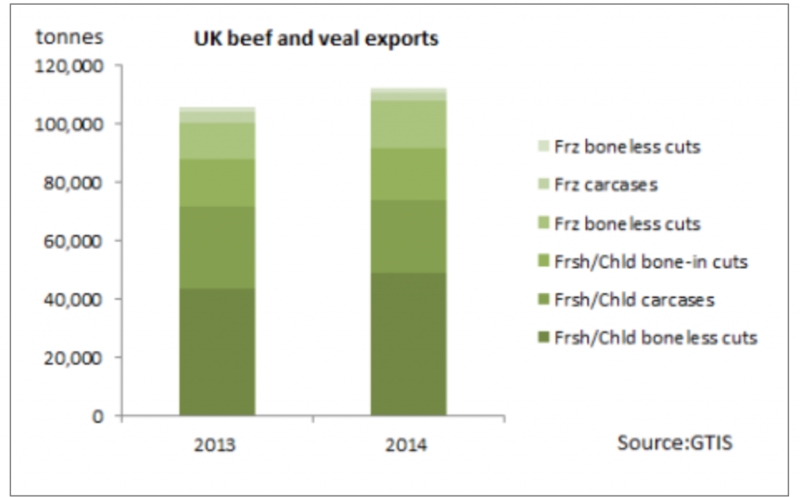 Hong Kong became a more important market for British beef exports last year, as did a wide range of smaller markets. Beef exports to France and Belgium were lower, while to Italy higher. Among the highlights in the performance of trade to the smaller markets were exports to Greece − up fourfold − and to Denmark by 23%. Shipments to Sweden saw a 66% increase on the year, while Portugal took 43% more product in 2014 than 2013. The year saw another positive move away from exporting carcases to higher priced cuts, Eblex says. The unit value of exports fell slightly compared to the year earlier, which meant that the overall value of exports was broadly unchanged on the year at £375m. From the UK perspective, EBLEX has been helping ensure the domestic industry is in the strongest position possible should a trade agreement be reached between the UK and the US for beef and lamb. 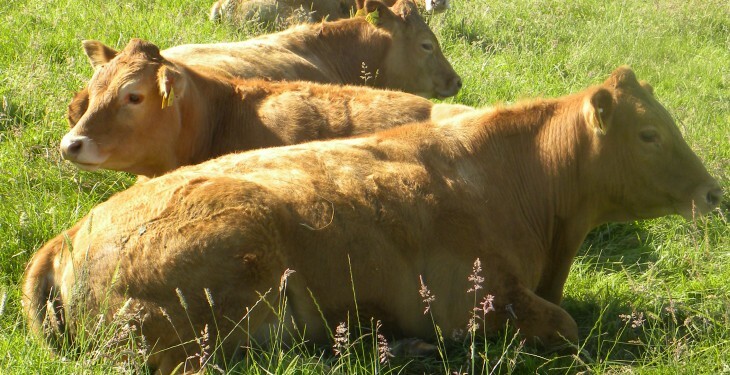 With the anticipation of an official inspection visit in early 2015, it has helped processors fully understand the level of detailed information required by the USDA to help negotiate market access and gain approval for export of ruminant material to the US in the not too distant future.